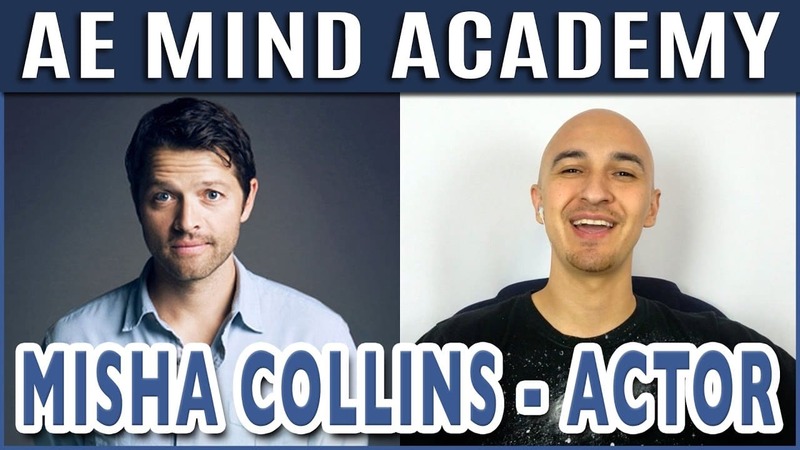 In this AE Mind Interview, Superhuman Luis Angel talks with Actor and one of the Star’s of Supernatural, Misha Collins, who plays Castiel on the show! We talked about everything from his GISHWHES initiative to Acting Success Tips for those wanting to get gigs in the industry. Misha Collins, Co-star of Supernatural on the CW. He plays Castiel the Angel on the show. -Misha interned for the Clinton administration in the White House. -Why acting credits are more important than building up your school resume when it comes to getting the attention of casting directors and agents. -Why it’s smart idea to look for acting jobs outside of Los Angeles, Hollywood and New York. -Fall in love with the process of doing the auditions. -How the memory techniques that Luis Angel taught him are helping Misha memorize and learn his script lines much faster and easier. He now feels more confident with his acting performances because of the memory training exercises such as the memory palace. Great interview! Thanks for spending so much time in such a great conversation. Misha is truly an inspiration! Thank you and he is!